This six-hour MASTERPIECE series is adapted from Hilary Mantel’s best-selling Booker Prize-winning novels: Wolf Hall and its sequel, Bring Up the Bodies. The television event presents an intimate and provocative portrait of Thomas Cromwell, the brilliant and enigmatic advisor to King Henry VIII, as he maneuvers the corridors of power at the Tudor court. Watch on MASTERPIECE Sundays at 8pm starting April 5 on OETA. A historical drama for a modern audience, this unromanticized re-telling lifts the veil on the Tudor middle class and the internal struggles England faced on the brink of Reformation. At the center of it all is Cromwell, navigating the moral complexities that accompany the exercise of power, trapped between his desire to do what is right and his instinct to survive. 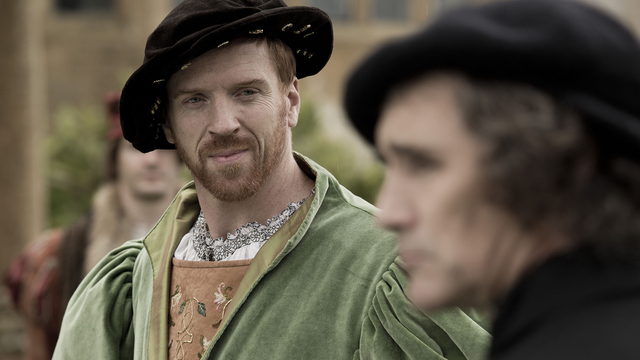 Mark Rylance is Thomas Cromwell, a brutal blacksmith’s son who rises from the ashes of personal disaster, and deftly picks his way through a court where ‘man is wolf to man.’ Damian Lewis is King Henry VIII, haunted by his brother’s premature death and obsessed with protecting the Tudor dynasty by securing his succession with a male heir to the throne. Told from Cromwell’s perspective, Wolf Hall follows the complex machinations and back room dealings of this pragmatic and accomplished power broker – from humble beginnings and with an enigmatic past – who must serve king and country while dealing with deadly political intrigue, Henry VIII’s tempestuous relationship with Anne Boleyn and the religious upheavals of the Protestant reformation.